I've really been looking forward to the day that this Reading on a Theme would be ready to go. For one, I can't get over how amazing these covers look together. I could stare at them all day because it's kind of like staring into the fire. For another, you have to be a tough girl to wield the magic of fire, and I love this cast of characters. 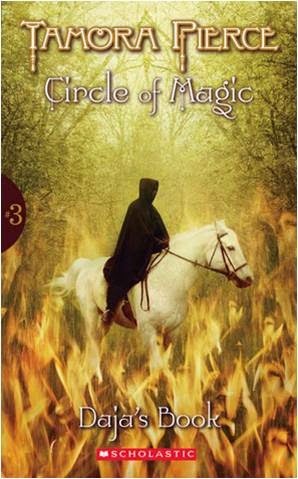 Tamora Pierce's Circle of Magic series features four children with interesting magical talents. Daja has blacksmith magic, and her skin can withstand very high temperatures. In Daja's Book the kids and their mentors travel north to help alleviate a drought in a scorched land threatened by fire. Daja's talents play a big part in the final scenes. What I love about Circle of Magic is how congruent everything is. There are four children and four Winding Circle Temples, one for each of the four elements: air, fire, water, and earth. Each of the four books deals (more or less) with a threat from one of the four elements (earth, air, fire, and water in that order). I love all that symmetry. It's just so well crafted. Ava is a firebug; she can start fires with her mind. Not that all that power has caused her anything but trouble. She was coerced into becoming a hit man for the Coterie, a magical mafia, and now they want her to kill a man that is like a grandfather to her. Enough is enough, but saying no to the Coterie means fighting back. Lish McBride's story is a lot of fun. The best part is that it's full of fabulous characters. I love how, although Ava is technically an orphan, she is surrounded by family. Ezra and Lock, her partners and best friends are as loyal as they come, and Cade is a loveable father figure. The world is gritty and dark. The characters are whip smart, and I would certainly pick up the next in the series. 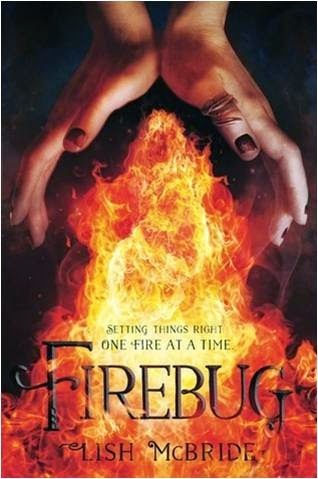 Firebug is out September 23rd, 2014. Review copy from NetGalley. In an alternate United States elemental magicians aspire to work in an industry that is kind of a melding of professional sports and the circus. Aria is a fire artist, but she was not born with magic; she stole it from the sky. Aria's theft was with the best of intentions, but the leagues have a strictly no external magic use policy (meaning no genies, think no steroids in sports). I really enjoyed The Fire Artist. I love an alternate reality, and Daisy Whitney offers a satisfying twist on elemental magic. My favorite part about this book is how Aria's dilemma is carefully balanced, and I also enjoyed the infusion of genies into this alternate world. 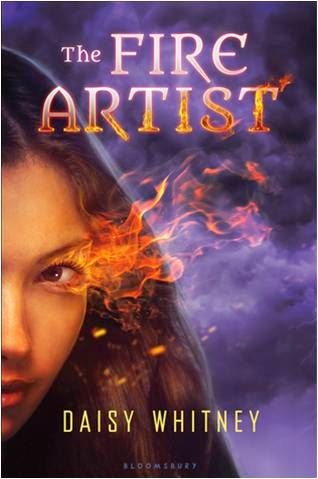 The Fire Artist is out October 14th, 2014. Review copy from NetGalley. Iolanthe Seaborne is an elemental mage. She can control water, earth, and fire. Prince Titus VII is looking for the elemental mage prophesied to help rid the world of the Bane and release the people from the shackles of New Atlantis. In a dramatic show of Iolanthe's power, Titus finally finds her. Now he just has to convince her to help him change the world. 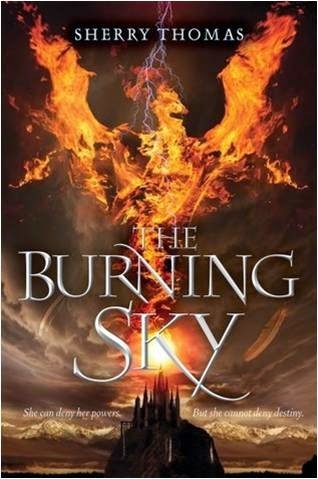 The Burning Sky is full of everything I love most about the fantasy genre: a colliding of two worlds, girls masquerading as boys, complex political intrigue, prophecy, cool training facilities, and a terrifying villain. Sherry Thomas's book is a lot of fun. I think it would be a great read for anyone really missing Harry Potter. Enna is already familiar with the languages of the elements through her friendship with Princess Isi, but when an old paper teaches her the language of fire, she enters a world intent on consuming her. I liked Enna when I read The Goose Girl because she is a loyal and kind friend, but I loved seeing her come into herself in Enna Burning. This is Shannan Hale's darkest book, in my opinion, but it handles heavy subjects with great poise--things like war, control of oneself and of others, and being a friend to someone trudging through darkness. With characters I already loved, like Isi, Finn, and Razo, Enna Burning did not disappoint. Circle of Magic, Firebug, The Fire Artist, and The Burning Sky reviewed by JoLee. 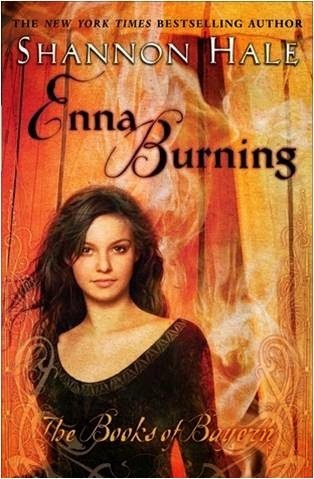 Enna Burning reviewed by Paige.